Vitamin C has many important effects in the body. Its effects on enhancing the immune system are notable. In people with certain health conditions, it is desirable to give the body as much vitamin C as it needs. Each person, due to their own unique biochemical differences, has different vitamin C requirements. Also, a person’s vitamin C requirements can vary depending on their state of health. For example, a person in good state of health may only require 3 grams of vitamin C per day; however, when that same person gets a cold, their requirements may rise to combat infection. • Begin by taking ½ teaspoon (1000 mg) of powdered vitamin C per day, or one 1000 mg vitamin C capsule. • Each subsequent day, increase your vitamin C dosage by ½ teaspoon or one capsule (1000 mg). • Be sure to spread your doses of vitamin C throughout the day. • Continue increasing your vitamin C dose by ½ teaspoon or one capsule until you experience loose stools. At this point, you have reached your tolerance of vitamin C and have taken too much. • Decrease your dosage of vitamin C by ½ teaspoon or one capsule. If loose stools do not reoccur, this is your maximal dosage of vitamin C.
• If loose stools continue, decrease your dosage of vitamin C until they stop. 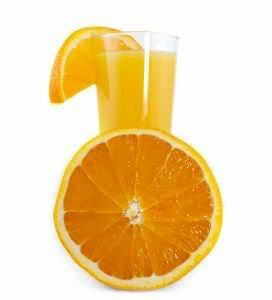 Please keep in mind that if you take vitamin C to tolerance when you are sick, your need for it may decrease as you recover. You will then experience bowel tolerance at a much lower dose. You will need to slowly lower your dosage until you find your new maximum dosage of vitamin C.
1. Mahan, Kathleen. Food, Nutrition and Diet Therapy. 1996. Saunders. Philadelphia PA.
2. Murray, Michael and Pizzorno, Joseph. Textbook of Natural Medicine.